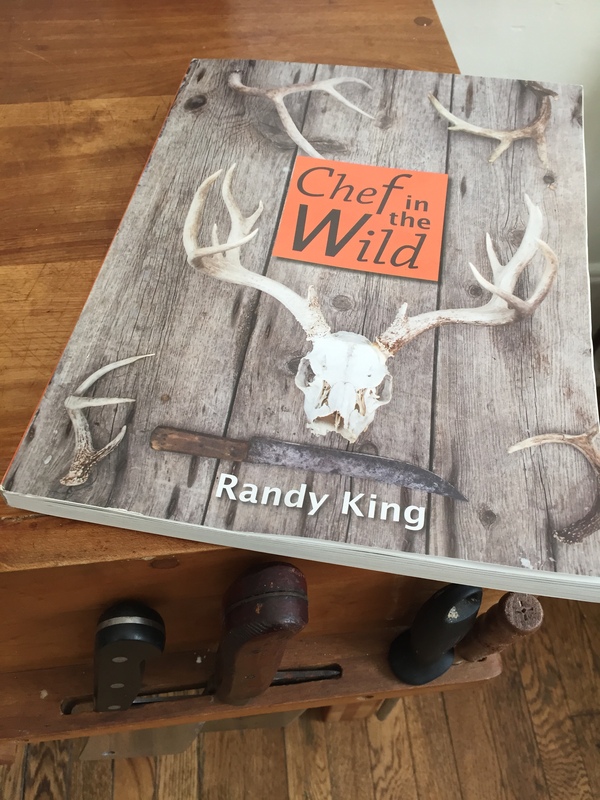 Professional chef and hunting enthusiasts Randy King contributes to the ever growing pool of wild game cooking knowledge with his new book “Chef in the Wild.” The book is equally divided into four sections: Air, Land, Water & Home. “Air” is focused on upland birds and waterfowl. “Land” is focused on big and small game. “Water” is, of course, focused on fish and the “Home” portion of the book covers foraging, side dishes, sauces & seasonings, and forage inspired beverages and desserts. The Land segment of the book covers some basic butchering techniques and deals with recipes for Antelope, deer, rabbit, pig and, my personal favorite, bear. There is a real lack of formally published bear recipes out there. King’s bear recipe is a St Louis style rib recipe that looks entirely legit by Memphis standards. As a side note, I did notice that King suggests a very liberal minimum temperature for dealing with trichinosis: “...cook the meat past 137F. This should kill the bug and your chance of contracting it.” Though that temperature will kill trichinosis, it might be important to note that the meat would need to reach and hold this temperature for at least 1 minute. Some food safety experts recommend taking bear meat to 155F and holding the meat at that temp for at least 5 minutes while others even suggest 160F (Steve Rinella can tell you more about that). You can peruse some of King’s fish recipes here. All and all, a very worthwhile book that should have something to offer most any hunter, fisherman, or game cook. This entry was posted in Barbeque, Bear, book review, Books, Butchering, Charcuterie, Cooking, Deer, Deer hunting, Elk, Exotic, Fishing, Hunting, Meat 101, Turkeys, Watertfowl and tagged #chef, #Deer Processing, #deer season, #game, #health food, #wild game cooking, backstrap, bacon, barbeque, BBQ, bear, Butcher, Butchering, Carnivore, cooking, Deer, Deer Hunting. Bookmark the permalink.